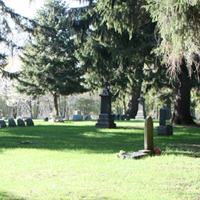 Originally named Holy Sepulchre Cemetery, what is now known as St. Joseph's Old Cemetery is settled on a parcel of land purchased while St. Joseph's Church was located on North Main Street near Caroline Street. 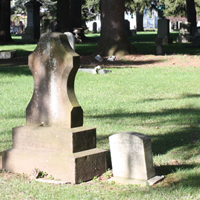 Many of the earliest burials were Irish families who attended the parish. In the 1920s, Msgr. 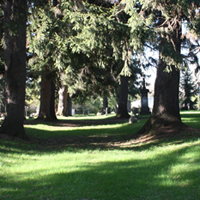 Francis Sullivan purchased land on present day East Avenue where the current St. Joseph's Cemetery sits. 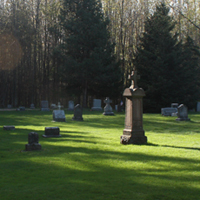 Upon the establishment of the new cemetery, many families chose to remove the remains of their loved ones and have them re-interred in the new cemetery. Many of the monuments in the first few rows of the St. Joseph's New Cemetery mark the "new" final resting place of those same families. Rev. Castaldi was one who was re-interred in the New Cemetery. The large cross monument marking his final resting place can be seen from East Avenue. 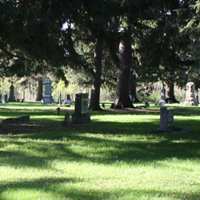 The cemetery is essentially broken into four sections: Northwest, Northeast, Southwest and Southeast. The paved roads mark out these areas. 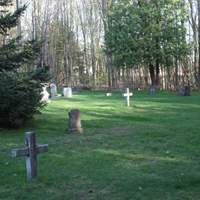 Based on burial information and monuments, the Eastern sections (closest to Brown Road) are predominantly Irish Catholic families. The Western sections (farthest from Brown Road) are predominantly Italian and Polish Catholic families. 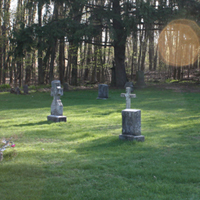 According to the cemetery records, a number of graves vacated by families who removed their loved ones to the new cemetery were sold to Polish families (located mainly in the Northeastern section). 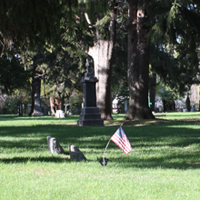 Many graves within this cemetery remain unmarked. 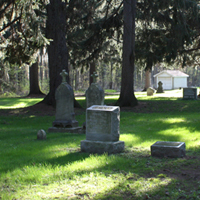 The cemetery is still active but no plots are available.